~The Missing Americans – This Memorial Day!~ | BoulwareEnterprises_"The World In Words"
“You’ve probably missed this in the rush of news, but there was actually a report that someone in Pakistan had published in a newspaper, an offer of a reward to anyone who killed an American, any American. ‘An American is English, or French, or Italian, Irish, German, Spanish, Polish, Russian or Greek. An American may also be Canadian, Mexican, African, Indian, Chinese, Japanese, Korean, Australian, Iranian, Asian, Arab, Pakistani or Afghan. An American is Christian, or he could be Jewish, or Buddhist, or Muslim. In fact, there are more Muslims in America than in Afghanistan . The only difference is that in America they are free to worship as each of them chooses. An American is also free to believe in no religion… For that he will answer only to God, not to the government, or to armed thugs claiming to speak for the government and for God. land in the history of the world..
An American is generous… Americans have helped out just about every other nation in the world in their time of need, never asking a thing in return. some of them were working in the Twin Towers the morning of September 11, 2001, earning a better life for their families. It’s been told that the World Trade Center victims were from at least 30 different countries, cultures, and first languages, including those that aided and abetted the terrorists. So you can try to kill an American if you must. Hitler did. So did General Tojo, and Stalin, and Mao Tse-tung, and other blood-thirsty tyrants in the world… But, in doing so, you would just be killing yourself – Because Americans are not a particular people from a particular place. They are the embodiment of the human spirit of freedom. Everyone who holds to that spirit, everywhere, is an American. 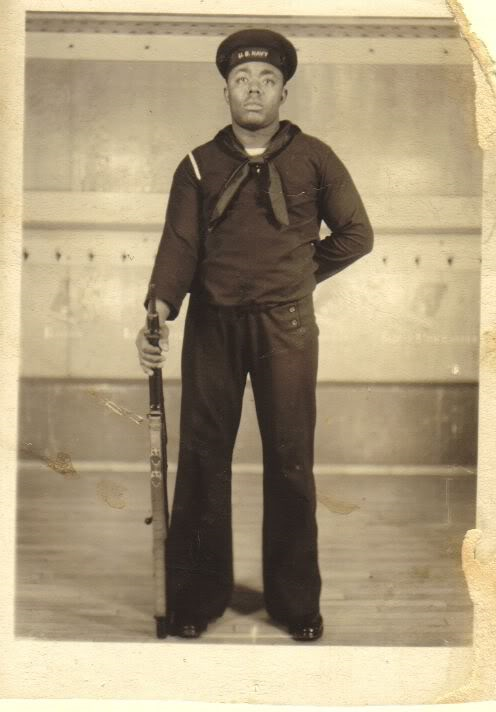 …Our family has been made up of ‘Sailors’ in the United States Military Service. We’ve even had a few cousins who’ve been in the ‘Army’ and ‘The Marines’ as well. 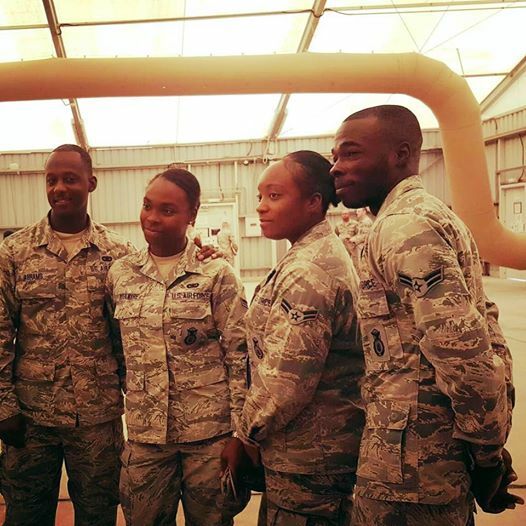 The latest of whom has come home from the ‘Air Force.’ Yes, My Beautiful Granddaughter, the eldest of my granddaughters, “I’Tia Gina Boulware” has gone and become an Airmen. Two of my sons’ (my eldest son and the one in the middle, of three) significant others were in the Army – the mothers of my Grandchildren! We are a proud Black/MultiRacial American Family…I, as the head of this clan bear an enormous pride in all of my children as well as those who have passed on before us. Thanks to All Who Have Served – For US! That was the 4:30 a.m. and/or 5:30 wakeup call to arms by my/our Grandfather every time he came to town from New Haven, Connecticut; we loved that cadence! “Ernest (Buster) Boulware”, formerly of 142 Cedar Hill Avenue, New Haven, Connecticut 06511, was the love of my life! “Winnsboro Cotton Mill Blues,” an industrial folk song of the 1930s with lyrics typical of the Blues, refers to working in a cotton mill in this city. Textile mills were constructed in the area beginning in the late 19th century and originally workers were restricted to whites. The song developed after the textile mill had been converted to a tire manufacturing plant, reflecting the widespread expansion of the auto industry. The song has been sung by ‘Lead Belly,’ Pete Seeger, and other artists.